Nicky Hilton has a Jeremy Scott designed Cybex Pram. Nicky Hilton is pushing baby Lily Grace around in the fanciest pram ever. Walk past the Baby Jogger. Stop looking at the Bugaboo. I know it’s fancy. Put the McLaren down. Nicky Hilton has the pram of my your dreams. Nicky Hilton’s lucky bubs, three week old Lily Grace, is being pushed around in a Cybex Priam. Not just any Cybex Priam though. A Cybex Priam with additions designed by Moschino designer, Jeremy Scott. Okay. First things first. 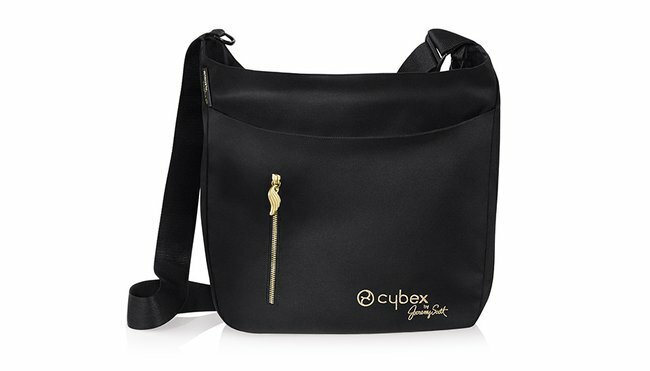 The Cybex Priam is a new line in Australia, released late last year. They’re fancy AF and cost more than an arm and a leg. Truth be told they have a heap of features that probably make them worth the several thousand you’ll have to drop on it if you want one. I won’t bore you with the details, but if you’re into these things, you can get them here. The Priam is very popular with the It crowd; Cate Blanchett has got one, Lara Worthington, Liv Tyler and Kiera Knightley to name a few. The Jeremy Scott Priams, like the one Nicky Hilton is pushing around, are on another level. 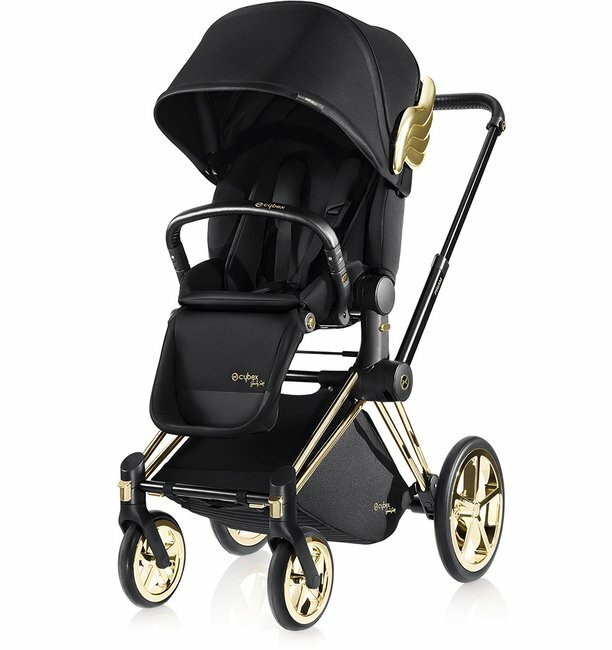 Mamamia confirmed that the Jeremy Scott Cybex Priam will be available in Australia, likely in October. But, er, you won’t get much change from $3500 if you want the whole package. The Lux Seat (that’s the frame with the standard seat for the uninitiated) will retail at $2799. The bassinet, $799.99, and the foot muff, $329.99, are sold separately. 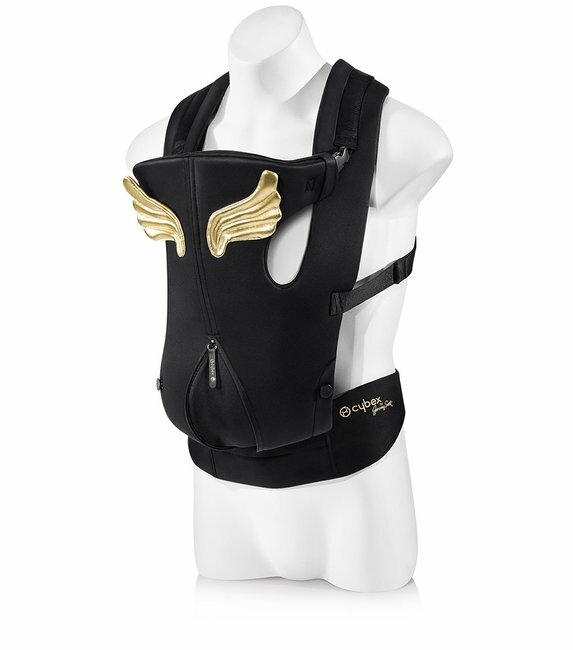 Cybex Jeremy Scott baby slingCybex Jeremy Scott baby sling. Priam Jeremy Scott editionCybex Priam Jeremy Scott edition. Cybex Jeremy Scott teeCybex Jeremy Scott tee. Cybex Jeremy Scott foot muffCybex Jeremy Scott foot muff. 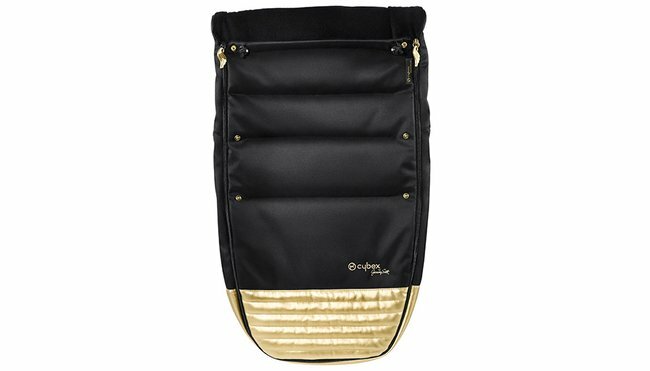 Cybex Jeremy Scott nappy bagCybex Jeremy Scott nappy bag.